Hey Arizonans: there's a new group of artists in town, and you're going to want to get to know them in their incipient phase. They have a showcase on Friday, April 27th at 7:30 pm at the Arizona Latino Arts and Cultural Center, featuring productions ranging from a short film to experimental theater. I recently sat down with some of their founding members to discuss their vision and identity. Ryan Bordow: Who are you? Angel Lopez: We are the New Carpa Collective: a collective of young, brown artists. Our ultimate goal is to give voices to other people of color, preferably within our age range. We're trying to move away from the kind of uppity theater that we're really used to—especially in the Valley—and add in a little more flavor, a little more guerrilla-style theater. It's very street right now, and that's kind of the aesthetic that we're going for. Valerie German: We really want to promote the people who aren't really given a chance at other theaters in the Valley. We want to work with the community and open doors for more people to get involved in the arts. Huberto Paz: We do want to stand out from other theater troupes. For me, it's also about telling stories that haven't been told yet, especially since we're coming from a person of color perspective. AL: We also want to do some type of community outreach. For example, the other day, we were filming for Huberto's short and there were kids sitting outside and watching us film. Megan asked them if they were interested and their faces lit up. One of the boys was like, "yeah, I've always wanted to do stuff like this", and he was super excited. Megan gave him her phone to put his contact information in—but he didn't have a phone, no social media, nothing like that. So we're trying to do stuff where we can reach people like that, so they can come and see theater and feel like they're represented. At some point, we want to do workshops for kids like that. We want to get better at what we're doing and share that with the next generation, so that they can come into this collective, because they may not be able to afford theater or film school. This can be something that's free and accessible, something that can draw them into the world of theater, which is a very powerful tool for them to use. Anna Flores: I'm going to read our mission statement that we wrote for our very first show: We support a network of artists of color and allies who aim to produce radical, inclusive art and performances. We want to make art that tells the stories of the marginalized using our own perspectives to make theater, film, and other forms of performance art accessible to different community organizations. The New Carpa Collective also strives to produce high quality art and engages in real labor to hone our collective craft. We take dominant narratives and dissect them using the experiences of the impoverished, outcast, and all other disenfranchised populations each of us relate to in our communities. Through workshops, meetings, and transparent conversations, we truly work on developing honest and high quality performance art work. RB: What do people have to look forward to from you? HP: Just about everything. We're performance artists, so we go from dance to theater, film, singing, anything. We have a stage available to people so that if they have a story to tell, they have a place to go. AL: As we build confidence in our writing abilities, our directing abilities, our performance abilities, we'll use more experimental and radical techniques and ideas. We can expand on the tools already used in theater and morph them into something that makes us unique as a collective. VG: Since we're starting from the ground up, we don't have to really worry about connecting to the typical theater-going audience. It's all stuff that we can produce and that we want to see, and that we know people like us want to see. That can be anything from DJ events to art shows and poetry readings. RB: Tell me about what's happening in the near future. AL: We have one of our first showcases. 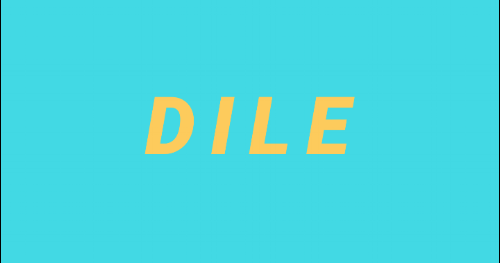 It's called Dile, which is Spanish for "tell them". It's a showcase of solidarity and examination of women's issues, and ultimately empowerment through the examination of those issues. We have different formats such as film, spoken monologues, distorted audio recordings—it's very exciting and it'll have that experimental feel that we're going for. It's on the 27th at the Arizona Latino Arts and Cultural Center, near Adams Street in Downtown Phoenix. Doors will open at 7 pm, tickets can be bought at the door, and the event will start at 7:30 pm. HP: It'll have my short film, as well as spoken word and a dance piece—right, Anna? AF: Yes, a traditional dance from a couple of girls that I teach at Central High School. We're keeping it local. We'll also have my theater piece, which is probably the most experimental thing I've ever written. It's definitely a script where I took some risks, so I'm pretty excited. It's a huge audience participation piece where the audience doesn't really know that they're participating until they witness the piece. The main character will never be on stage, it's just her voice. The audience will experience a story of harassment through her voice. Hopefully, the message that comes across will be what dehumanization feels like—whatever it takes to make people not want to do that to women. It flips the script and puts harassers in the shoes of the harassed. HP: My piece is Tamalera, which is my first short film. My mother cooks tamales and sells them to make money for rent. I wanted to recreate that. It's a day-in-the-life piece that I shot in a short time with a very small crew and cast. We worked pretty hard on it in a small amount of time. I'm hoping that people will feel like they're living a day in the life of someone who just wants to make an honest living, even though she's a tired single mother who has to deal with her child acting up. He has to get some strength from her—she's kind of like a gangster; I always pictured my mom as a gangster and hustler. She's a big inspiration. VG: My first piece is a monologue that deals with internal conflict after an act of sexual violence. It has a lot to do with the shame and the guilt that comes from it, and actually being able to vocalize what happened. My other piece is called Echo Chamber: it's a very experimental short scene that does a lot with audio and lighting. It's about someone who's a victim of some type of trauma replaying a memory on loop, focusing and obsessing about it while wishing they could've changed things. I struggled with writing it because it is from personal experience, so there's a lot of demonization of the character that's a monster. It may not be healthy, but it addresses that you have to take a step back from obsessing over it so that you don't distort reality. RB: I look forward to everything that you all are going to do in the future!